A contract of LZ36-75 sand washing plant and tailings water recycling system is signed with Richard from Australia today after communicating in detail the machine, after-sales, quality assurance, commissioning, maintenance and other aspects. They successively inspected the workshops of LZZG No.1 and II, and expressed great satisfaction with the manufacturing materials, processing technology and accessories consumables of Longzhong products. 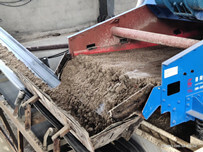 Richard consulted sand washing equipment in the early July, our salesman got in touch with him at first time, and known that the detailed information. 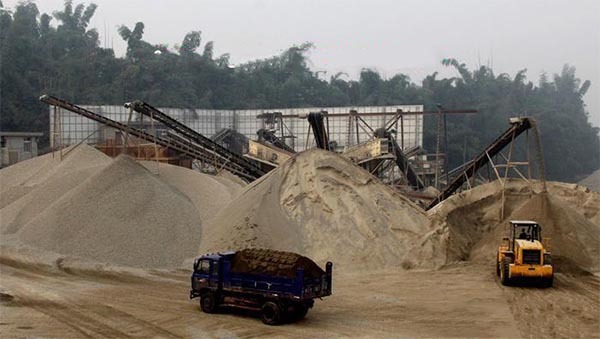 They are mainly in dry powder sand and stone business currently, but because of the high content of stone powder, the grade of finished sand is unreasonable, which leads to the bad product quality. And known the capacity is about 150tons per hour, so recommend the LZ36-75 integrated machine. 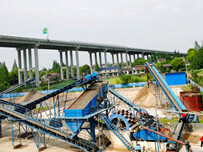 Through further communication, the working site is mainly with dry sand making. 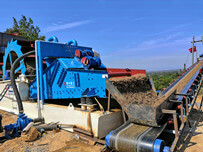 Once the sand washing equipment is installed, the water source will become a key issue. Longzhong sales man communicated with experienced technicists in a timely to discuss solutions that can efficiently clean sand and save water and reduce emissions. At the same time, the technicians continue to carry out demonstration and model simulation. The solution is finally determined as: feeding— screening — cleaning and recycling — tailings water treatment. 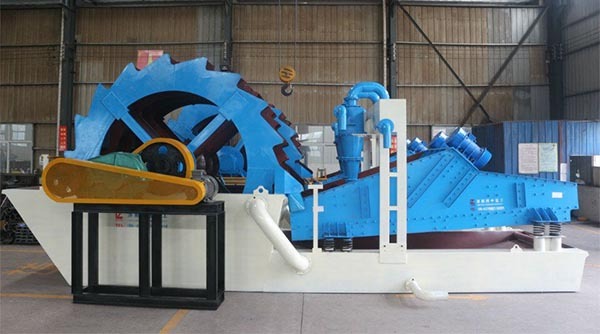 Because Richard is not know the tailings water treatment system before, Longzhong positive feedback, to introduced in detail the thickener + filter press muddy water recycling system configuration. And made a detailed comparative analysis about the belt filter press and board commonly used frame filter press, including the initial investment, consumables maintenance cost, artificial power consumption. And giving economic and reasonable suggestions. After giving the reasonable allocation, at the invitation of Richard, an experienced sales manager to go to Richard’s site for investigation. 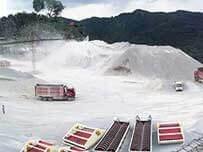 The conclusion was: due to the restrictions of working site, the equipment production line cannot be expanded in original stone production site. As a result, the sales manager worked tirelessly to accompany Richard to conduct on-the-spot investigations in the surrounding area, and gave the basic site layout plan, which was approved by Richard.